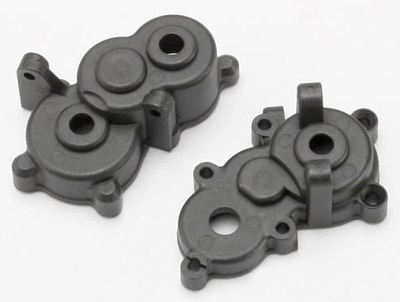 Traxxas Gearbox Halves, Front or Rear for 1/16 E-Revo Discounts Apply ! TRA7091 - Traxxas Gearbox Halves, Front or Rear for 1/16 E-Revo. Fits 1/16 E-Revo. Please Note: You will need two sets to do both gearboxes.